Search Engine Optimisation - so you want page #1 right? If you can't be found on Google you can't compete and, unless you're a brand or corporate, you're not even in the game. But, it gets worse; if you are not on page #1 things are going to be a struggle, but you already know this, that's why you are here. More importantly it's how you found us and it's why you already know that we can help you. We practice what we preach when it comes to search engine optimisation (SEO) and our results speak for themselves. You want new leads to convert into customers and we can help you get them... it all starts with SEO but that's just the beginning of the journey.. next we'll help you convert them. So, let's work together and make it happen. If you've heard enough already get in touch right now for an informal chat. Reality: talented SEO experts with proven track record cost money and are worth their weight in gold. Outsourced SEO 'on the cheap' from places like India is a false economy and could end up harming you. We would rather turn you away than take a couple of hundred pounds of your hard earned cash and promise you the earth. You are buying into a team of Internet marketing gurus who've grown up around the technology and been there since before Google existed. All that said, if you are working on a limited budget and we believe we can add value, depending on the keywords you want to rank for and the competitiveness of the sector, we'll always try to accommodate as there's satisfaction in any David and Goliath story of which we have many. So, if you are saying to yourself "oh but I want a local company so I can pop in for a meeting and for a cosy chat" then sorry but you're totally missing the point (of course you are most welcome to meet us too and we even have biscuits). Chances are that your local SEO company won't get you any results of significance if any at all (at least you got some tea and sympathy.. doh). That's why you need to talk to us. You are probably wondering who we are and where we are.. let me explain. We are one of the first agencies in the UK doing SEO and web development as early as 2000 but it wasn't until 2005 that we branded as SEO Junkies. We are part of Advansys, a leading e-commerce provider building secure (PCI DSS level 1) e-commerce and website solutions. Our expertise is unprecedented, we speak at intentional exhibitions and conferences alongside the likes of Microsoft, Yahoo! and Google whilst also operating "under the radar". We have offices in Wokingham and Wigan but that's not why you should hire us. You should hire us if you want results because we get them - No company or individual can guarantee that but we are the next best thing. Show Me The Money: To give you an example or biggest client generates over £8 million per month in revenue online! Another local business on our door step has working with us for two years and has secured over £4 million worth of new business as a direct result of their SEO exposure. As you can see being on page 1 of Google for your money phrases is a game changer. 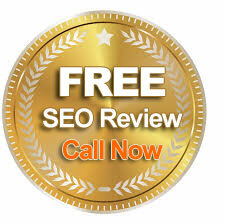 SEO Junkies rated 5 / 5 based on 55 user reviews. SEO Junkies is a team of dedicated search engine optimisers working full time on optimisation projects for a wide range of clients within different sectors of industry.